The Buffalo Museum of Science is a National Historic Landmark, located in a Frederick Law Olmsted-designed park. The Solar Observatory Dome, installed at the roof level of the museum in 1930, houses a solar scope that transmits images of the sun via prisms and mirrors to visitor’s floors below. HHL Architects designed the replacement copper.. In 2007, HHL Architects worked with the Buffalo Museum of Science on a planning study that investigated the design and restoration of the main entrance plaza and two levels of lobby space. Following the study, HHL Architects developed a facade restoration plan for the Museum which was funded by the City of Buffalo. 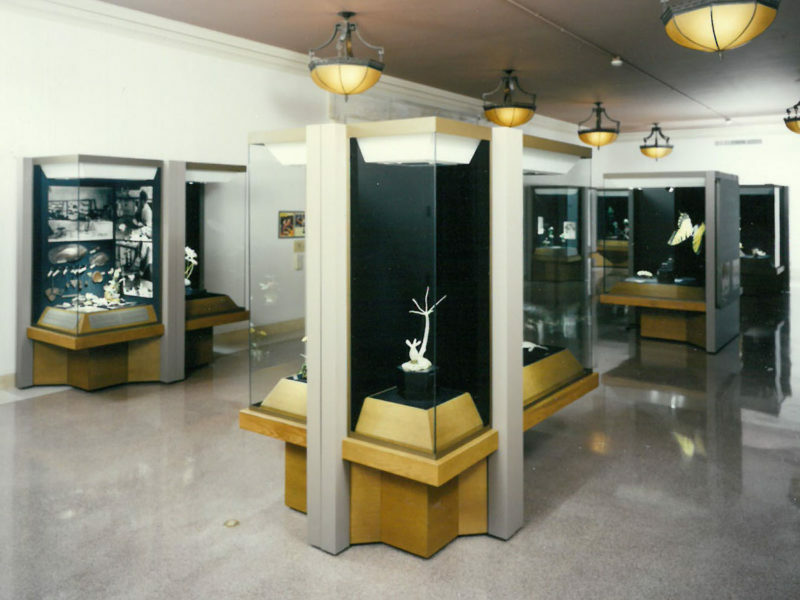 In 1999, HHL redesigned two of the static gallery spaces at the Buffalo Museum of Science so the museum could use the space for multiple purposes, whether it be for exhibits, events, educational programs, etc. Included in this project was the design of modular, moveable cases that met the museums curatorial standards for temperature and.. 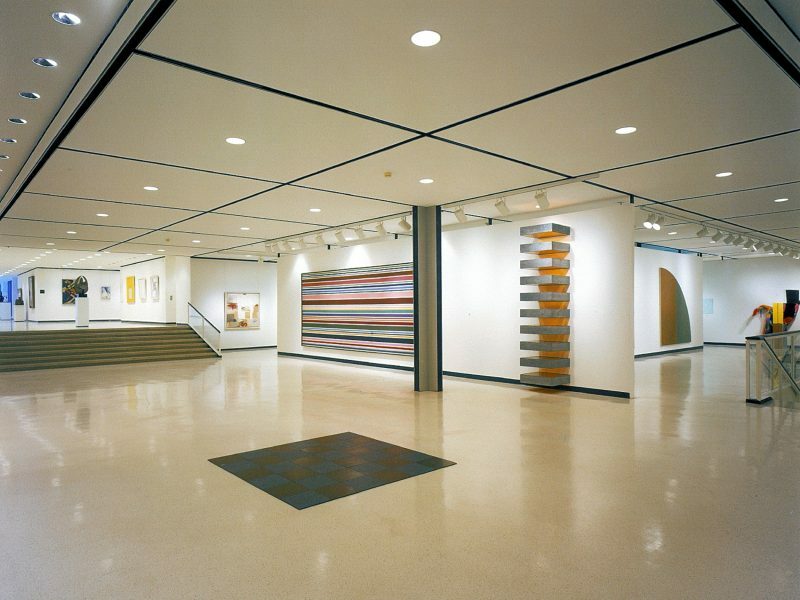 The Albright-Knox Art Gallery engaged HHL Architects to design the total renovation of its National Register-listed complex of two buildings (the original constructed in 1905 and an addition in 1962). The gallery is now recognized as a state-of-the-art facility for the exhibition and storage of its exceptional contemporary art collection within a precision climate controlled,..
HHL Architects designed a new addition and major renovation of this 1953 elementary school to serve as a school and community center for the Tuscarora Nation. The building includes Pre-K through 6th grade classrooms, an enlarged gym, and a new cultural center and clinic. The project was built by the Dormitory Authority of the State..
HHL Architects developed a master plan for this new research and educational waterfront campus located at the foot of Porter Avenue, also known as Cotter Point. The study included the West Side Rowing Club, the Frank Lloyd Wright Rowing Boat House (which HHL Architects also developed), the Great Lakes Institute and the proposed Buffalo State..
HHL Architects redesigned this facility to incorporate a bright and welcoming student study and computer lab space. Using circular patterns for the floor and workstations, HHL Architects changed the appearance of this square shaped concrete and brick space into a lively and contemporary place for students of all ages to work, study, and collaborate while..
HHL designed the award-winning adaptive reuse of this historic 110-year-old church. It was converted to the King Urban Life Center which includes an Early Childhood School for the City of Buffalo Public Schools. The facility represents the fusion of a profoundly unique and experimental inner city early childhood school with advanced computer technology connecting it..